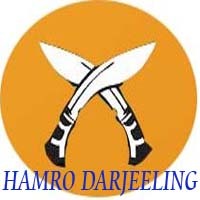 We started with the aim of helping people to see Darjeeling through our Blog.Where they can get each and every information regarding Darjeeling and beautiful places around Darjeeling ,specially the places that are hidden.....like we have shared a temple of Pulbazar which has beautiful images of God and Goddess carved on stone.The temple having historical importance was hidden but now its on the Web.Similarly we are working on it. I am very much thankful to Mr. Puran Gurung and Jharna Singh who helped me to move forward for the good cause of our land Darjeeling. great initiative sandeep! keep it up hai! Thank you Da,there are less people to inspire for good cause..It will be my pleasure to have further suggestion and support from you..